Manchester United have sacked Jose Mourinho as manager after two and a half years in charge. "A caretaker-manager will be appointed until the end of the season while the club conducts a thorough recruitment process for a new, full-time manager," United said in a statement. "The club would like to thank Jose for his work during his time at Manchester United and to wish him success in the future." United's haul of 26 points after their first 17 Premier League games, is their worst tally in the top flight at this stage since 1990-91. 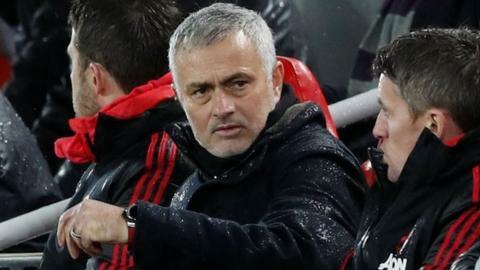 Mourinho's sacking comes after a fall-out with £89m record signing Paul Pogba, who was an unused substitute for the defeat at Anfield on Sunday. Only once has he made it into a fourth campaign, but he left Chelsea on 17 December 2015 Christmas during his second spell at Stamford Bridge.